Working from home sounds like the complete dream, right? You start when you like, finish when you want, and you get to be your own boss. What more could you want? Although there are plenty of benefits to waking up next to your office, anyone who has experienced working from home will know that it also comes with a few challenges. Very little social interaction, lack of motivation, feelings of loneliness, and not the greatest support system around you to name a few. Structure is so important, especially if you're freelancing or you've just started running your own business. There is so much temptation to take advantage of the fact that you don't have to answer to anyone (ie. sleeping until 10:30am and taking breaks every 5 minutes). I've found that structuring my day like a normal working office day has proved to be very effective. This means setting my alarm, getting up, getting dressed and starting as close to the same time every day as I can. On Sunday, I'll write a to-do list of all the things that will need completing the following week. Allocating these tasks to different days gives me a great overview of what is important, and what deadlines I may have and when. Just to go a little deeper, at the start of each day I'll write down what time I'll begin each task, and how long I expect it to take. Breaking up each day into hours can really help provide a solid work structure and prevent you from wasting valuable time. 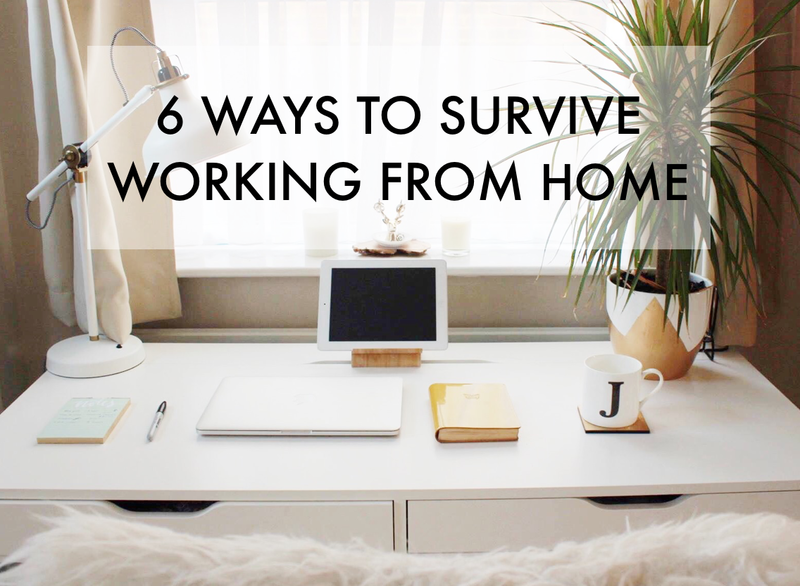 I personally found that my view of working from home was challenged when I moved cities. It was easier in my hometown because I was surrounded by family, I'd see friends during breaks, or I attended regular creative activities. Moving to a new city made me realise how important those connections are. Working alone everyday can be lonely and can occasionally leave you feeling disconnected socially. Connecting with people after your work day, and collaborating with like minded people can bring a healthy, fun, balance to your life. One thing I love to do is meet up with other friends who work from home and have a work day together. I find this has been perfect for taking myself out of my work bubble, and it's also really motivating to be with passionate people who are in the same boat. At the end of the day working hard is great, but the relationships you build along the way and connections you make can make everything far more enjoyable. Dropping off? Getting distracted easily? Then take regular breaks when you need them- particularly when you feel your concentration is slipping away. There are days when I can work for hours on end, and there are days when I can't seem to concentrate for more than 40 minutes. Breaks don't have to be very long, just long enough for you to have a fresh perspective on your work when you come back to it. Also try doing a calm activity in your break that's unrelated to your work, like a 10 minute walk, or having a moment to read a book. It's all about separating yourself for a few moments so you can concentrate better once you're back at it! I get it. You've eaten, slept, and worked in the same place for weeks on end. It feels repetitive and you feel yourself getting pretty bored from time to time. 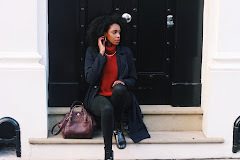 Thankfully, if you like a change of scenery from time to time, there are some alternative ways you can 'work from home' without physically working from home. One being hot desking, which basically means renting a desk in a shared office space with other entrepreneurs and freelancers. It allows you to work on your own personal projects in a community, just like a regular office. Or you can also look into renting your own office space if you have the money for it. I personally find the most simple and cheapest way to get out and about is by cafe hoping. There are so many cafes with free wifi, great drinks, and charging spots that make for a perfect day office. It's becoming so popular to find cafes packed with people working away on their laptops now, plus, it's a lot more flexible than paying monthly for a desk. Your environment is key, especially if you find your surrounds can effect your mood. I don't know about you, but when my surrounding area is messy or too cluttered, I find it harder to concentrate. Having a dedicated place for work, whether it be a room in your house or a desk, allows you to relax into that space at the beginning of day and focus on the task at hand. Keeping this area organised, and making sure everything is filed away in it's special place will turn your work area into a stress-free environment. Also, putting a few of your favourite things around your work area can also help you associate working with a pleasant feeling. I know for me, I love greenery and candles, so I have both of these dotted around my desk to add an extra touch. Learning how to switch off at the end of the day is important for separating your work life and your personal life. When you live in a place where you work and relax, it's important to have a healthy transition from one to the other towards the end of your day. I remember having the problem of over working (any startup, freelancer or self employed person will have experienced this at one point or another). You technically don't have a set finishing time, so you'll work into the early hours of the morning to get things done. Although this was productive at times, I got to the point where I realised I had NO chill. I would work a week straight and wake up on a Sunday morning wondering why I was so exhausted. Now I put barriers around my personal out-of-work time, where I separate myself from my work at the end of the day mentally and physically. That may mean doing an activity like reading, watching tv, or exercising. If you have a problem switching off, I'd highly recommend setting a firm finishing time for your work every day. I've recently introduced a no-screens-after 8pm policy to my day. Yes, it sounds a little extreme, but there's nothing more relaxing than completely disconnecting from emails and social media in order to gain some peace and perspective. Are you thinking about working from home, or are you already in the swing of it? If so, feel free to share your experience with me!